London, UK – I'm Gaming Tonight is a t-shirt and apparel brand that uses minimalism and retro themed fonts and icons to create a nostalgia induced brand. Designer, Michael Couvaras has a huge interest in pop culture and classic style. 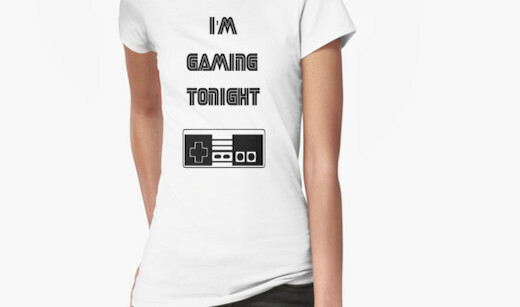 The idea behind the current design, I'm Gaming Tonight, is to pay tribute to the nineties and past gaming culture. The use of SEGA styled font and a NES game controller makes retro gamers nostalgic, and is relevant to today's home-brew enthusiasts. "More retro themed designs have been planned for the future," says Couvaras. Check them out: I'm Gaming Tonight.